Nigel shows that equal pawn endgames aren’t automatically drawn. Toby’s play and analysis are beyond his tender years! Even though Black was indeed “winning” at various stages, it is difficult to imagine him ever scoring the full point in the face of such aggression! Nick describes an exciting encounter. Two rook sacs in one game. One was a bit speculative, the other clearer cut. I blame the heat; it was boiling there last night. One of Steve’s wins that took him to the championship – he describes this as a fairly smooth effort at refuting an opening idea. How does an International Master beat a strong county player? – probably a bit like this. Ben goes for the king, and gives his opponent lots of problems to solve. This game was the deciding factor in the Bedford A’s match against Milton Keynes A and was Richard’s sixth straight win for the team. I had intended to publish Toby’s fine victory against Northampton, but I lost track of the score in the middle, and to be honest the game meandered somewhat. So here’s a much more direct affair. Toby’s punishment of my dire opening play earlier on in the season. Sometimes, a few passive moves prove very costly, even as White from a seemingly solid opening. After a strong opening, Nigel has to withstand a strong attack before prevailing. I try and publish one of my masterpieces every season, it might as well be this one! Both the A and B teams were short of a regular player, and since Gerry had committed himself to being swindled by Joe, the top two boards of the D team were called on to do battle. Sparks were bound to fly! Tony’s first win for the D team is an interesting and exciting game that could have gone either way. Mike paves the way for a great Bedford A victory against Milton Keynes A. An interesting example of how easy it is to not take advantage of a better position and living to regret it. 10. Overwhelming victory to defeat in half a dozen moves! It can even happen on the top boards in division 1. Steve supplies interesting commentary to an unfortunate turnaround. Richard targets f7 and never lets go! Gerry achieves a great result against a very strong opponent. Sometimes the captain’s job is just to avoid defeat. Ravi’s position goes from slightly worse (with 12.. Qb6) to overwhelmingly winning in about ten moves where White doesn’t appear to do anything too terrible. An impressive positional crush. 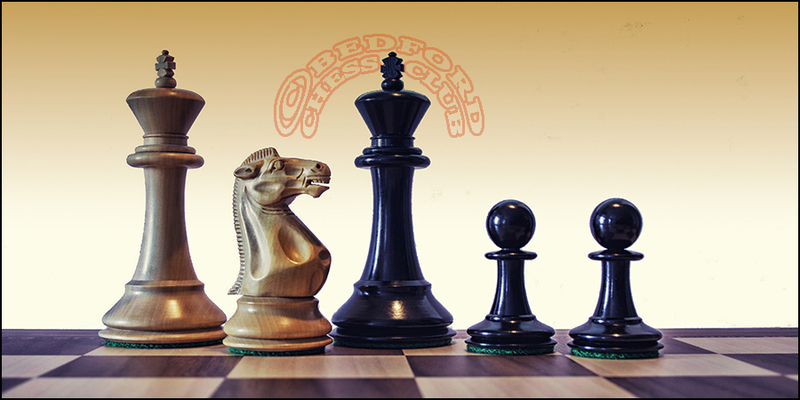 “Chess is 99% tactics” is a saying attributed to Richard Teichmann. In the just concluded 10th 4NCL Congress, there were ‘tons’ of tactics both missed and actualized in my games. I managed to end the tournament in 2nd place with 4/5…and some prize money. Here is my game against the top seed of the U2000 FIDE section which I participated.